This prized AA microlot produced by Windrush Estate is next up on the rotating roster of amazing coffees. A clear stand out on the cupping table, this coffee is typical in flavour profile but perfection in its quality. We can’t wait for you to try it! 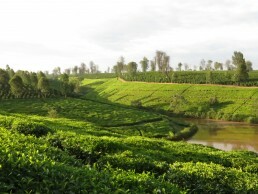 Located in Kiambu County, the heartland of traditional coffee growing in Kenya, is Windrush Estate. Among the oldest remaining estates in Kenya, Windrush is famous for predominantly farming the complex & most-prized SL 28 varietal. 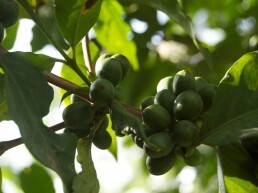 The estate uses proven sustainable methods of farming. Soil pits are dug to trap rainwater and bluegrass is planted as ground cover to prevent erosion. 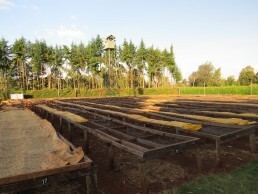 Gravillier and Eucalyptus trees are also planted on the estate to shade the coffee from the harsh afternoon sun. 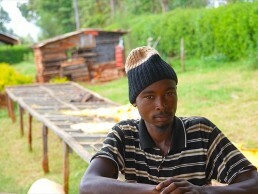 After selective hand picking, the cherries are processed on-site with Kenya’s trademark double-fermentation using fresh river water from the nearby Riara river. 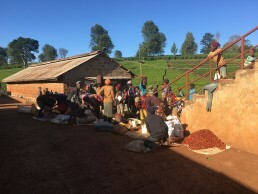 Afterwards the coffee is moved to skin drying beds overnight, before sun drying for seven days on raised beds. The highly sought-after SL 28 coffees are known to be intensely sweet & flavoursome, yet super clean so it’s no surprise this AA microlot is just that. With notes of blackcurrant, cola & grapefruit, Windrush is a party on your palate!